Our social events will take you into wonderful world of Russian culture of nobility, with their beautiful costumes, etiquette and entertainments. Our events take place in different countries of the world. We can offer for you general lectures, master-classes, and events in Russian style. 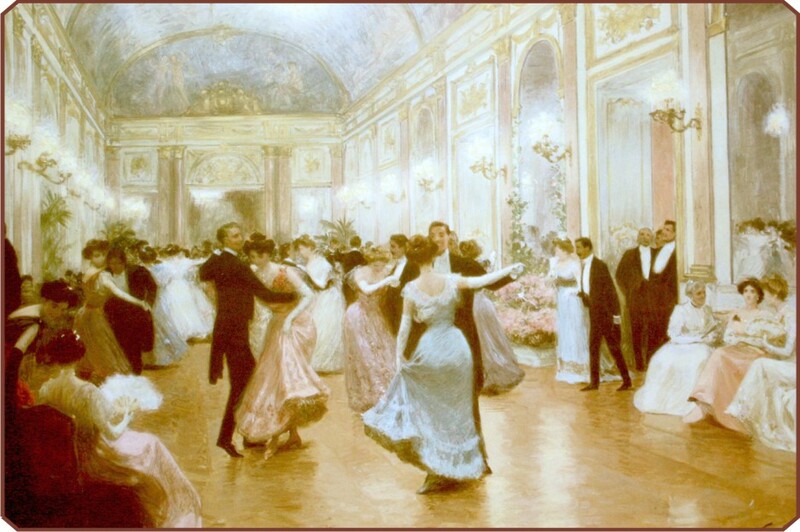 You can enjoy dance and etiquette classes. Also you will have a unique opportunity to have a look at the antique collection costumes and accessories, printings, photos, postcards, visit cards and household goods. You can to see the original illustrations of the 19th century daily life and read subject articles. Historical costumes tailoring is also available. We will be glad to meet with like-minded people and we ready for partnership. *As of this writing, The Mazur-Mazurka Dance Figures Audio Instructions, do not exist in book form. (But we do have a soft-covered Workbook of all these Figures which is available.) They are a series of 4 DVD-data discs, done as DATA-SOUND RECORDINGS, TALKING, VERBAL INSTRUCTION which are in ENGISH for each of the figure-sequences, that is, of the complete choreographies for almost 300 hundred Contemporary Social Ballroom and Stage choreographies. These are used in conjunction with the THE MAZUR-MAZURKA DANCE FIGURES WORKBOOK which illustrates all of the figure-sequences, that is, the figures are drawn.. This is about forty hours of verbal instructions—a real treat for dance lovers. (To obtain these, for free, contact the author at cwiekara@shu.edu) Would anyone or group of dance-lovers like to make a video record of these complete choreographies? Or donate copies to your local library. Or place any of the works on your web-site OR make computer-animations. Feel free to do so.